Chief Minister Virbhadra Singh has hinted to induct two new cabinet ministers, one Chief parliamentary secretary and three parliamentary secretaries in his month old government. Earlier it was speculated that he may change portfolios of few ministries, but he put all speculation aside and said that he had no plans to make any changes in the departments of his ministerial colleagues. 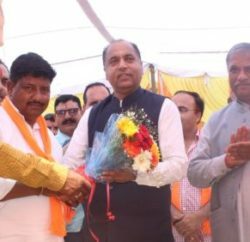 For the cabinet rank, the names of Anil Sharma, son of former Union Communication Minister Sukh Ram, and Banjar MLA Karan Singh, a former BJP minister who won on the Congress ticket this time, are considering front runner, whereas Jubbal-Kotkhai MLA Rohit Thakur may be inducted as CPS. 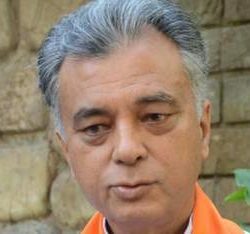 Appointment of Anil Sharma and Karan Singh are likely to be done in view of the fact that the by-election to the Mandi Parliamentary seat, vacated by Virbhadra Singh, will be held within the next six months.